Graham Ride was Brian Jones's best friend during the months immediately prior to Brian leaving his home town of Cheltenham for the 'Smoke' of London to form the Rolling Stones. They may not have been blood brothers but they were the next best thing. They had shared good time, bad times, money (mostly that of the author), food, cigarettes, booze, revelations, depressions, views and philosophies. In those last ten months they had participated in an intensely musical learning period with its high and low points, its exultations, its disagreements and disappointments. They'd shared just about everything except women and a bed. What started off as an evangelical mission for Brian to spread the music of the Chicago Blues around Britain, ended up as the invention and creation of the most enduring, and arguably the greatest Rock and Roll band in the world. 'Foundation Stone' affectionately records the influences and the shaping of Brian Jones as his musical talent blossomed. It portrays vividly the essence of the early sixties in provincial England and intimately brings to life the atmosphere of those exciting times and the way of life of a struggling and unsuspecting future pop star. The lid on the true musical influences of Brian Jones is raised and many gaps are filled. Why did Brian get hooked on the blues in the first place? Where did he first play the blues in public? How far removed from his later public persona was Brian before fame found him? This book answers these questions and many more. According to Bill Wyman, Brian Jones was the inventor and inspiration of the Rolling Stones, probably the most enduring Rock band of all time. This book is a first-hand account of the intensely formative last year before Brian left his hometown of Cheltenham for the bright lights and big city of London. During that period Brian was introduced to the Urban Chicago Blues upon which he was to base the initial musical style of the Rolling Stones. 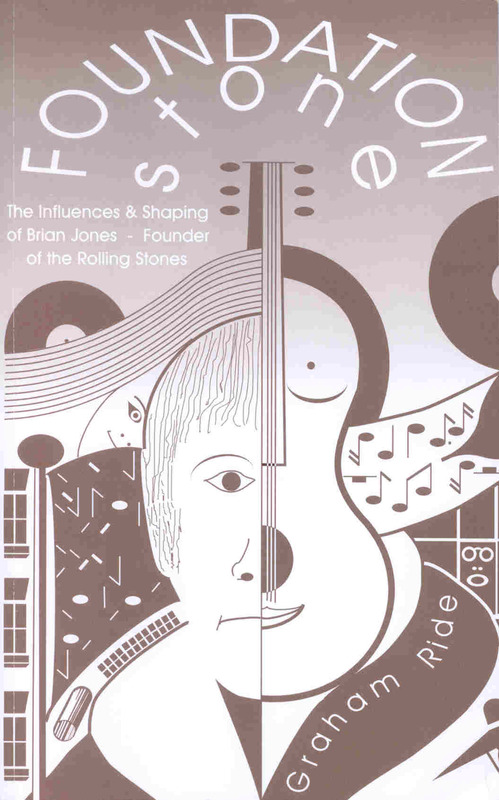 'Foundation Stone' describes the musical and mental development of Brian as he absorbed the blues genre at the beginning of what was to become the 'Swinging Sixties'. Sometimes life was turbulent, sometimes sad and sometimes hilarious but it was never ever boring sharing it with Brian Jones, as the author did. These memoirs not only seek to portray the young Mr Jones but convey the atmosphere of sixties life in provincial Cheltenham. It not only tells of Brian 'as it was' but is an easily read historical account of interest to blues fans, Rolling Stones' fans, local historians and those fascinated by the social history of the nineteen-sixties. There are plenty of anecdotes and enough trivia detail to provide oxygen to the true fan. Along with in-depth accounts of influential recordings, the author gives us his own personal musical appraisal of Brian's work. Helpful footnotes are included and short biographies of significant musicians are provided. And finally, for those who wish to tread in the footsteps of Brian Jones, a walk around his Cheltenham is described.